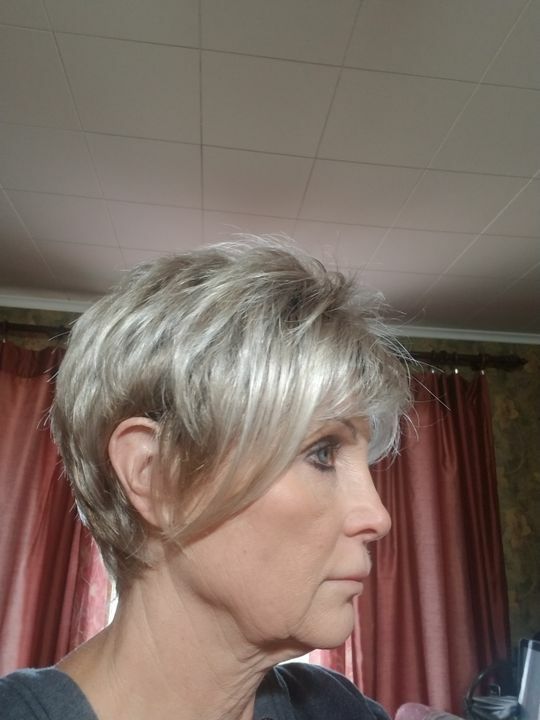 Cinch by Raquel Welch is a sassy, asymmetrical short wig ready to wear with a firm shake right out of the box. - Front: 4", Crown: 4", Sides: 3", Back: 3", Nape: 2"
Just over two ounces in weight, Cinch is a light boy cut style with razored tapering in the front framing the face. This cropped cut is as easy to style as it is comfortable to wear! Such a fun sassy style. Comfortable cap. No bells or whistles but it doesn't need it. Just your basic cap. Don't even comb it. Shake and go. Ronald F. Reviewed by Ronald F.
Dolores K. Reviewed by Dolores K.